Pant in velvet polyester, sublimation printing with vintage effect. 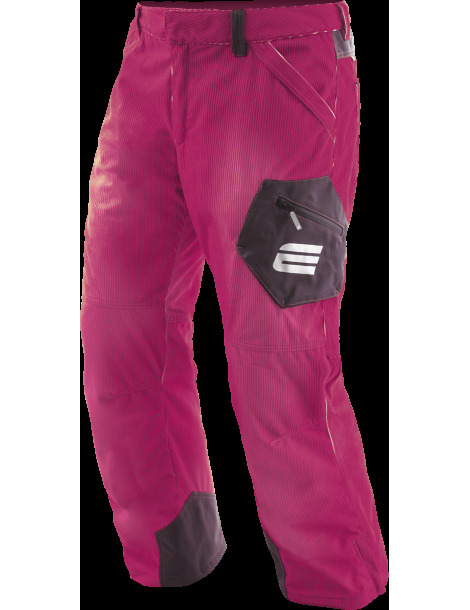 The pant is waterproof, snowproof, highly termic Enertex padding, ensures perfect transpiration of body sweat and insulation from air. Monoelastic polyurethane membrane, waterproof, soft, light and resistant. Water column 10,000 gr / sqm in 24 hours , breathability 10,000 gr / sqm in 24 hours, externally the fabric has been treated Tefion to let fiuids and liquids slide very quickly. Comfortable fit. Short zip for leg opening, antisnowpowder gaiter with antislip elastic. knees and seat lining in thermic pile. Six pockets: two back pockets, two front pockets, two sides pockets. The JR sizes are produced in polyester printed fabric.